Digital scrapbooking support coming soon! Watch our amenities page for updates. Welcome to Winona, Minnesota's newest lodging treasure! Goodview Haven is a renovated retreat house in Goodview that sleeps 12 and can accommodate up to 60 for daytime gatherings. Whether you're hunting for a work retreat, a crafting getaway or a weekend away with the whole family, Goodview Haven is a versatile home away from home that will accommodate all your needs. We are located in Goodview, MN, recently voted the safest city in Minnesota! 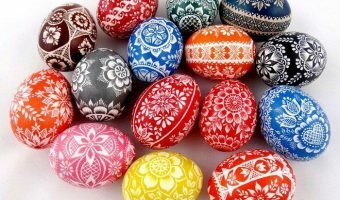 Polish Egg (Pisanka) Decorating Class – New class added April 18! Come to the Haven to learn all about Polish Egg decorating, also called Pisanka. All supplies, instructions, and tips will be provided. Class space is … [Read More...] about Polish Egg (Pisanka) Decorating Class – New class added April 18!